URL in this article and 'Paste' it in Google search or on your browser. links take you to the sites, serious, frivolous occasionally almost scandalous and frequently irrelevant. CCGS does not endorse any product mentioned here. 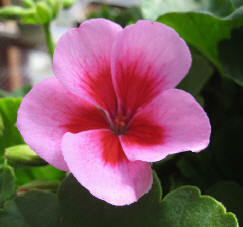 "Good Morning Geranium Welcome-Get Ready For Valentines Day!" frequently irrelevant. CCGS does not endorse any product mentioned here. over-harvesting because it is very slow growing. colic, diarrhoea and other digestive disorders. the large quantities apparently traded. 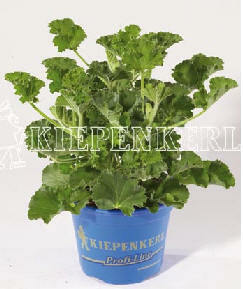 You may recall that P. sidoides is used in the production of an herbal remedy for cold symptoms. break on a red-flowered plant? 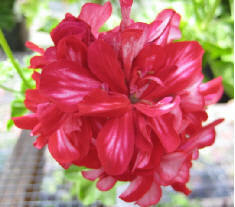 The Joy of Geraniums, from 1980, describes it as “very free of bloom”! problem with the older stocks.” They call it ‘Mr. Wren Improved’. colored foliage varieties that we now see everywhere; virus infection had greatly weakened them. With the virus removed they grow well. I’m afraid). I’ll report back on whether it really is more bushy. (somewhere, if not here). 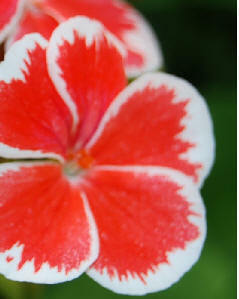 The link will take you to the cultivars produced from seed. to get an enlarged image. They are beautiful. 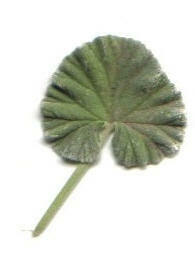 Vegetative, then click on Plant Search, then click on the picture labeled Vegetative Geraniums. enlarged images of each plant click on Hi Res Image. You will be impressed. Cascade, Classic, Contessa, Fidelity, Freestyle, Graffiti, Rocky Mountain, Tango, Temprano. BOMB DETECTING PLANTS IN THE AIRORT? 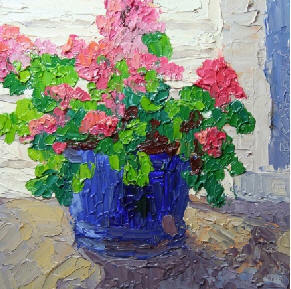 “The next time you forget to water your plants, feel guilty — that geranium could save your life. expects the plants to be fully developed and ready for installation in the next three years. we won’t have invasive searches! 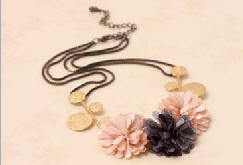 (Clarion series) which you can find by going to their Products page and clicking on Flower Symphony. 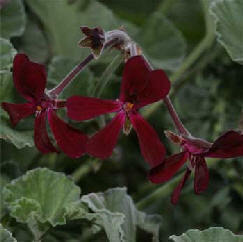 The blog Wenche’s Pelargoniumblog has an excellent collection of pictures and information about the plants illustrated. Equally impressive is her Fuchsia site. Wenche Schjoll lives in Oslo, Norway. the U.S. for gross sales of horticulture crops with $566 million in sales in 2009.
trees, foliage plants and food crops grown under protection. out for eight games. Officials believe all three players inadvertently took the drug through a tainted supplement. “Anyone who has seen this jewelry, knows what I mean! It is unique, beautiful and makes a statement! 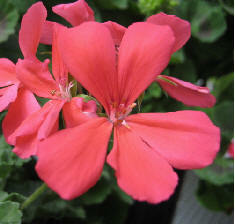 to Geranium or Pelargonium is purely coincidental. 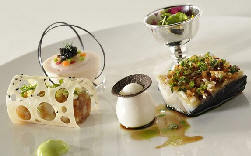 this week after the 37-year-old chef won the prestigious Bocuse d'Or culinary competition. 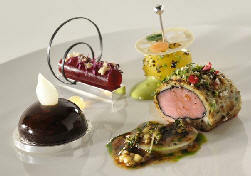 more about the chef and the menu and the economic travails of the restaurant business. costs $368.44. 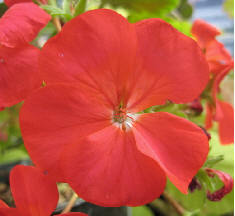 It is not clear if Geranium or Pelargonium flowers are included.